Atomizing Spray Head - Gilson Co.
HMA-298 Atomizing Spray Head is used with HM-630 Moisture Room Control Panel and installed on water lines to distribute moisture throughout the concrete curing room. Approximate flow rate is 1.5gph (5.7lph), dependent upon water pressure. Its atomizing spray pattern does not require compressed air. 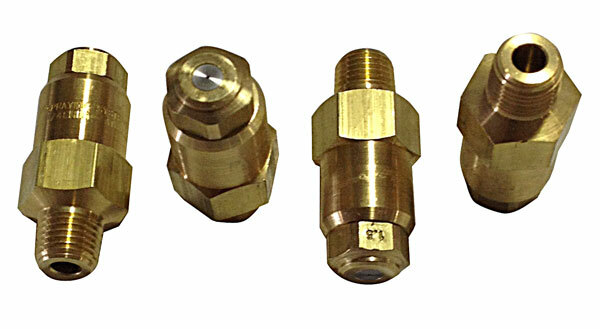 The 2in (51mm) long spray head is made of brass with a stainless steel nozzle for easy cleaning. It is sold as a single unit, and the number of spray heads required is based on the room dimensions.